Cyprus, I love this island. | Melissa Tabeek. Cyprus, I love this island. 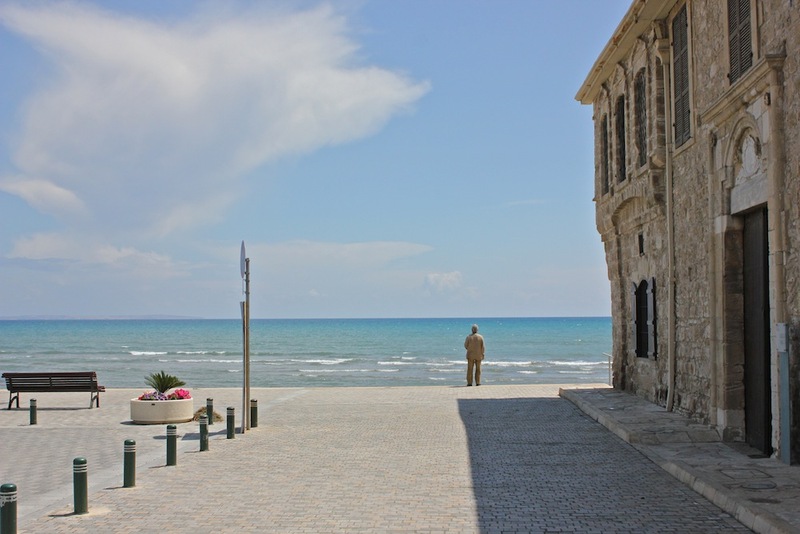 Cyprus is a beautiful island, just a 20-minute plane ride away from Beirut. When Omar and I left Lebanon for a long weekend, I hadn’t done much research on the place. I knew that about a month ago, there had been a terrible economic collapse when two major Cyprus banks closed. That it was a small island where Brits like to get trashed. And that it had lots of natural beauty. A Lebanese woman who had been living in Cyprus for many years gave us some traveling tips in the airport while we waited for our delayed (of course) plane. She was a saleswoman on her grind, successful but unsure about the future. She had lost her savings in one of the two domestic Cypriot banks that failed and was worried about how she would pay for her youngest child’s education. She also told us she feared that Cyprus was only just beginning to feel the effects of their two biggest banks failing. We landed after nine. After paying for an overpriced taxi to our hotel, we pulled up to an empty, dark Cactus Hotel, where we’d had reservations. We’d been scammed! No, not really. The hotel motel across the street was taking in those who had made reservations at the Cactus. It was a bit seedy, with a neon “Bar” light shining over the empty pool, but it was clean and had sheets, which is certainly better than some of the other places I’ve stayed. The road from our hotel to the city center in Larnaca. Cats are EVERYWHERE in Cyprus. These cuties reside in Larnaca. View from a bus window, from Larnaca to Nicosia. In the four days we were in Cyprus, we didn’t travel as much as planned, mostly because we ended up meeting an incredible family on our second day in Nicosia. After wandering down the deserted street that ran alongside the Green Line — a border that marks the buffer zone between Cyprus and Northern Cyprus, an area that has been occupied by the Turkish Republic since 1974 — we stumbled upon a café that look almost abandoned, save for four young men sitting inside drinking coffee. This café, the Cafe de Flore of Nicosia, is an informal meeting place for people who like to talk politics, drink coffee, be tolerant of different ideologies and roll their cigarettes. This is where we met this lovely family, and ended up talking so long that we missed the bus back to our hotel in Larnaca. Over the next two days, we traveled to back to Nicosia, as well as to Limassol, a city that is known for its bustle and “cosmopolitan” scene. When we got there, it was completely dead. Partly from the rain and partly from the economy, the scene was completely dry. Limassol is a city in Cyprus where there are many Russians – you can even find signs in Russian! Russian businessmen have built huge, beautiful houses on the outskirts of town and there are schools specifically for Russians in the city. People we spoke to while we were visiting feared that with the bank closures in Cyprus, the Russians would leave, creating a vacuum for investment, helping plunge Cyprus into a situation similar to their neighbor, Greece. Street market in Nicosia, Cyprus. Every night, the Turkish flag flashes repeatedly from the mountainside facing Nicosia in the Turkish-occupied part of Cyprus. This is the view from Nicosia, Cyprus. Graffiti is everywhere in Cyprus. Walking from Nicosia toward The Green Line. Selimiye Mosque in Nicosia, formerly St. Sophia cathedral. It was originally built in 1200s. You wouldn’t see these postcards sold on the other side. Trying to get on a bus back to Larnaca. Going to need my Kazakhstan skills here. Art is alive in the shops, albeit many of the galleries were closed. Too big to fail? Bank of Cyprus. First ride in a Fiat! The rest of our trip was spent with our adopted Cypriot family, who we spent hours over CYPRIOT (Not Turkish, this is very important) coffee, listening to them tell stories of Cypriot history, politics and serving in the national forces during the 1974 invasion. We spent an afternoon on the Turkish-occupied side – I could feel a palpable difference as soon as we crossed. The people were more closed in the bordering area, more suspicious, warily watching us as we walked along the border on the other side. The occupied side wasn’t very beautiful, but I heard and read about the rest of the area, outside of old Nicosia. Gorgeous, best beaches in the world. Some of the best nature, too. The night I spent in Nicosia, I watched the Turkish flag light up on the mountainside north of the city, from the occupied side. Blinking, one part of the flag at a time, over and over. I wondered how people who were driven out of their homes by the Turks must feel when they watch. One of friends said most people had gotten used to it. While others, though it’s been relatively peaceful in the years since the invasion, still hold onto their anger. Much more to discover, for another trip, I suppose. A reason to return. ← The Sunny Side of Lebanon. Whoops = I just read this! Incredible experiences. Hope you’re staying safe in Lebanon – kinda scary. Miss you.